Medium - $40.99 Only 1 left! Large - $40.99 Only 3 left! X-Large - $48.99 Only 3 left! Isn't it about time that you accepted your role as the fierce, militant leader of The First Order? Isn't it time that you grabbed the reigns and became the successor to Darth Vader's legacy? Isn't it about time that you finished hunting down the remaining Jedi Knights in the galaxy? Well, then, maybe you should get the right wardrobe for the job! 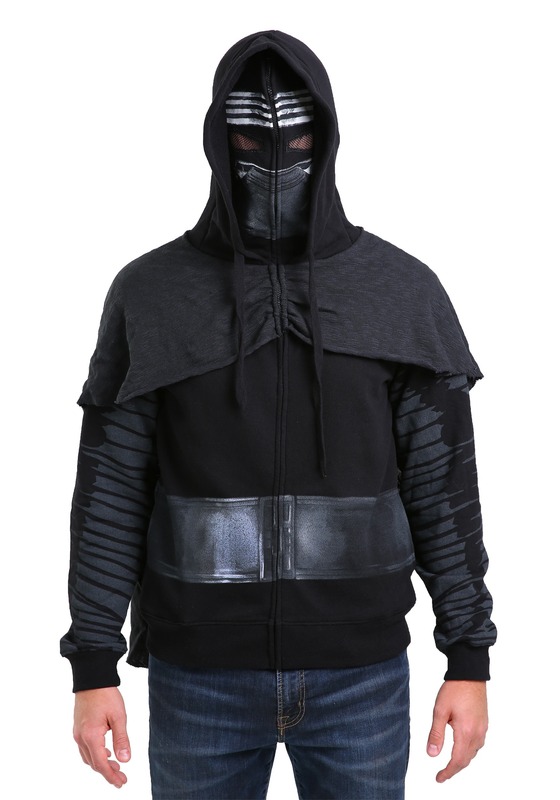 This I Am Kylo Ren Hoodie brings you a style based on the character from Star Wars: The Force Awakens. 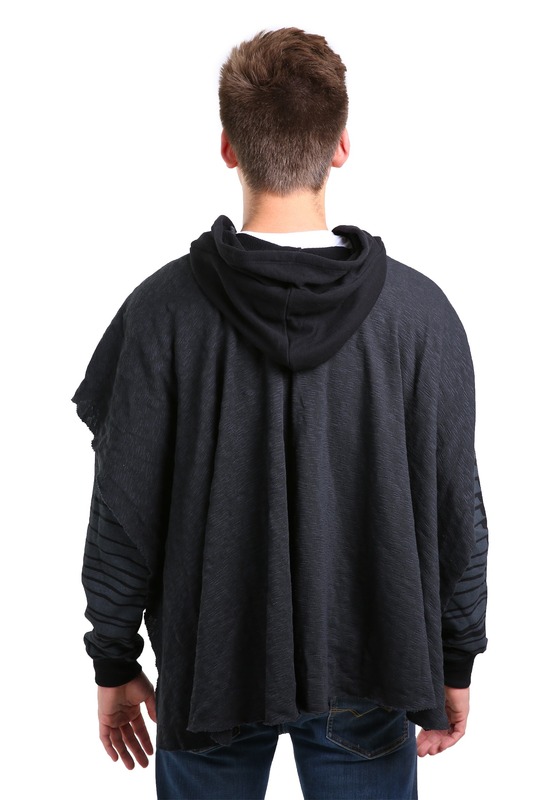 The zip-style hoodie is made of a cotton and polyester blend and has a comfortable fit, but it also has plenty of details to make you feel like a true Dark Side wielder. The zipper goes all the way up through the hood, revealing a mask that resembles the one worn by Adam Driver in the movies. The mask has mesh covering, so you can see through it while wearing it up. Just make sure you hone your deadly lightsaber skills before suiting up in this great hoodie!